This colorful and fun Gift Certificate Template is the perfect gift for any individual who has brightened a life in some way. This template can be changed up to fit the needs of the one who is giving it, and it is something that can be a truly special gift, something that the recipient will appreciate and treasure. 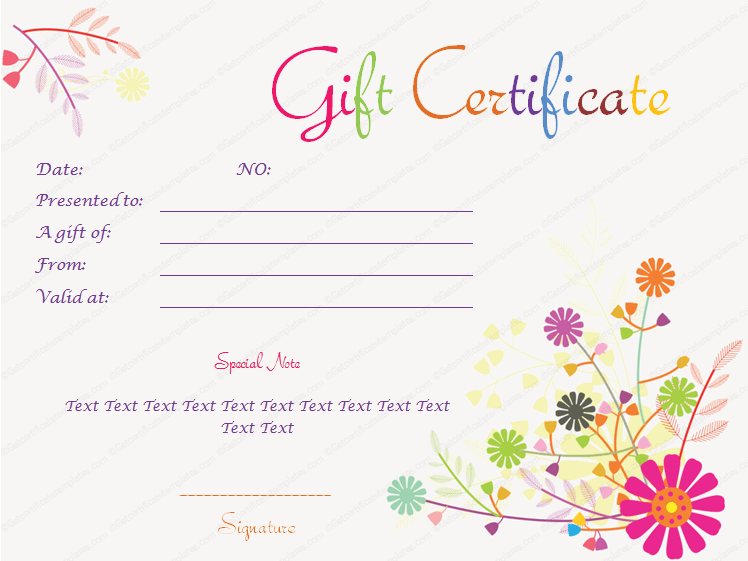 This Gift Certificate Template has space for the date and a certificate number. It has room for the name of the recipient and the name of the giver. The template includes space for the amount of the certificate’s value. This certificate has a fun look to it, and it is perfect for birthdays, holidays, anniversaries, and any special day in the life of a loved one. This template can be used to create something that makes for a great gift, and it is something that will brighten the life of someone who truly deserves it.